Romitaman Original Comic Book Art :: Private Collection :: Captain America #1 Cover SOLD SOLD SOLD! 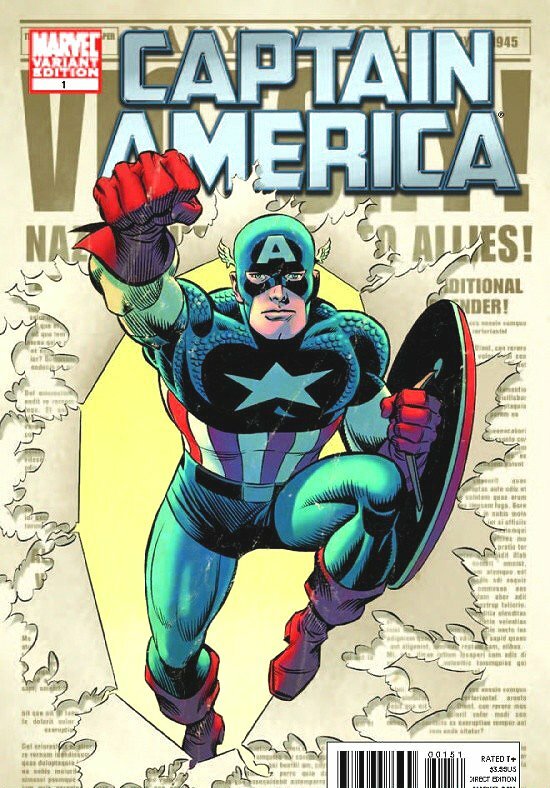 by artist John Romita Sr.
Click Here To See Captain America #1 Comic Book! 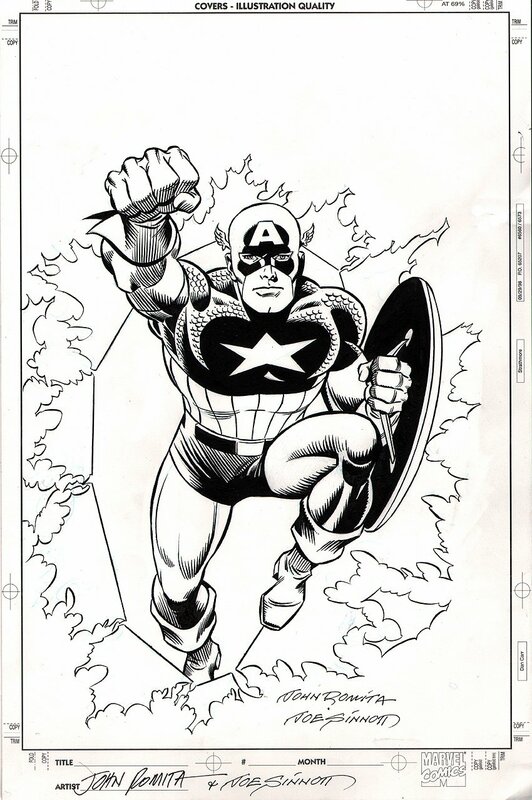 Check out this incredible FIRST ISSUE Captaion America cover which was penciled by the great JOHN ROMITA, and inked by the equally great Joe Sinnott! This nice cover features a HUGE image of Captain America leaping right at the reader as he bust through a World War 2 newspaper! It Doesn't get much better than this gem right here if you ever wanted a great cover by this LEGENDARY Marvel artist team! Compare this nice FIRST ISSUE cover art to the published comic book in the red link above!